If we have not answered your question below please contact us either by email, phone or our Contact Us Form. What size water tanks should I install? This is dependent on many factors including house size, climate, intended water use etc and there are lots of websites that can help you calculate an ‘ideal’ water storage capacity but it is important that you factor in the arrangement of your home. For example if you only have one downpipe leading to a courtyard where you plan to put your tank you will receive almost the same water savings per year from a 500 litre tank (25 kilolitres in a moderate climate) as you will from a 30,000 litre tank (30 kilolitres in the same climate) (Water saving source data http://www.planning.act.gov.au/__data/assets/pdf_file/0003/3378/Rainwater_tanks.pdf). A medium sized front load washer doing 3 loads of washing per week uses approximately 10.4 kL of water per yearSource: Rainwater Tank Design and Installation Handbook, Australian Government National Water Commission, 2008. Can I use Rosemark Water Tanks products to achieve mandatory water efficiency targets for my new home? How does the water capacity of the Lounge Tank compare to ‘standard’ tanks? Rosemark Water Tanks range of water tank furniture is targeted specifically for homeowners with limited outdoor space. As such these tanks range in size from 500 litres to 1,000 litres. They would obviously not be suitable for use on their own if you rely solely on rainwater on a rural property but if you have a mains water connection and are looking to save water then our water tank furniture may be the perfect solution. Refer to our ‘What size tank should I install?’ FAQ above. Do Lounge Tanks need to be located up against a wall like normal slimline tanks? No. With the unique single pipe approach of our water tanks you save on installation and the unattractive pipework is minimised. A traditional rainwater tank has an inlet, an overflow and an outlet. With our charged/wet system approach you will only need one pipe attached to your water tank which allows you to locate your lounge in the middle of the courtyard as opposed to being stuck by a wall. Are your water tanks made in Australia? Yes. We will always manufacture our rainwater tanks in Australia because we care. We care about making sure the appropriate quality standards are maintained, we care about the environment and do not see the point in transporting water tanks around the world and we care about Australian jobs. 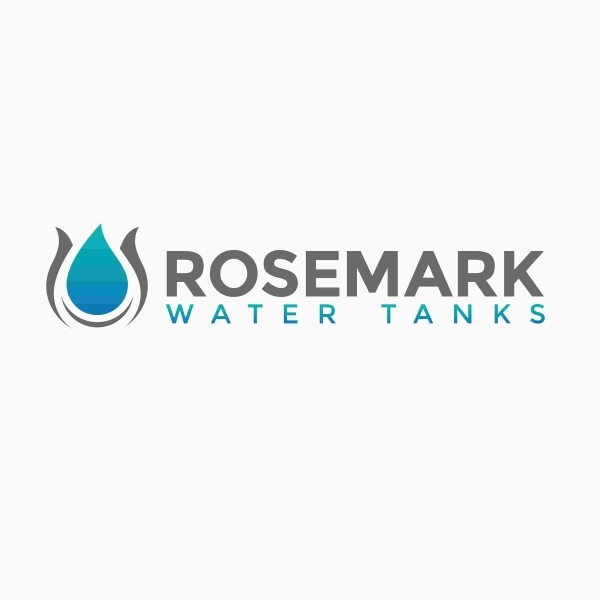 Does Rosemark Water Tanks offer a warranty or guarantee for their products? Absolutely! We only sell quality Australian made water tank furniture which makes it really easy for us to provide a 10 year warranty on all water tanks to give you the peace of mind you need. Are your water tanks available in other colours? Absolutely! We have a range of colours for the tanks and an even greater range of materials for the cushions to choose from. You will easily find a combination that works for you and complements your outdoor living area. Tank colours and material options can be found on within each product details. Are there any rebates available in my area? Rebates for rainwater tanks are constantly changing and can vary between state governments and local councils. Whilst most of the states are reducing rebates we strongly recommend you also check your local council websites as there are many councils still offering rebates for tanks installed and/or having them plumbed to household appliances such as the toilet or washing machine. What sort of delivery time can I expect? If the product you order is in stock, delivery should take between 3 and 7 business days to major cities in ACT, NSW, QLD and VIC. We can make colour combinations to order so if a specific one is not in stock, we can make it but it is likely to add about a week or two to the delivery. What materials are your rainwater tanks made from? Our rainwater tanks are made from high quality UV stabilised food grade polyethylene which is strong, durable and will not crack, corrode or rust. The material used for the cushions is a high grade outdoor product which is water proof and UV resistant. More information can be found on the products page. Can poly tanks be prone to splitting/bursting? Not ours. We manufacture our tanks as one complete unit to eliminate any seams/joints. Lines may be visible on the outside of the tanks but that is just part of the moulding process. Yes. We are currently developing our Daybed Tank which has a 1,000 litre capacity. We also have a couple of exciting projects in development so jump on over to our products page to sign up for product updates. What is the expected life span of your tanks? Our tanks are made from the highest quality UV stabilised polyethylene which is why we have no issues providing a 5 year warranty on the tanks but they should last 15-20 years under normal conditions. I do not have much of a garden to water but I am still interested in saving water and being environmentally conscience. What can I do? Good on you! There are many ways you can use a water tank to help you save water. If you do not think you will get the benefit out of using rainwater to water a garden then you can use it to supplement your mains water for tasks such as washing clothes or flushing the toilet. There are a few options for toilet flushing and if you do not already have a water efficient toilet we can highly recommend installing a cistern with dual inlets, one for mains water and the other for rainwater. This way rainwater will constantly be supplementing your mains water without any intervention on your part. If you would prefer to keep your existing toilet cistern there are clever automatic mains diverters that will flush your toilet using rainwater and only switch to mains water if there is insufficient rainwater available. Combined with a Lounge Tank you will be able to sit back and relax either in your courtyard or in your bathroom knowing you are helping the environment. Is my personal information safe if I purchase from this website? How is the water tank installed? Installation is simple. You can install it yourself depending on the installation and your intended use. Below is a guide to help you determine what is right for you. rainwater guttering, downpipes, leaf guards and first flush diverters. For further detail see the installation page and any relevant regulations. Is tank water safe to drink? Even though our tanks are made from drinking water and food grade polyethylene we do not recommend using rainwater for drinking or food preparation where there is a mains supply available. The main reason for this is not to do with the tank materials it is to do with the rest of the installation including the catchment area, contaminants that the water may wash into the tank and the maintenance requirements. If you choose to install a rainwater tank to provide drinking water, the requirements are far more stringent and your whole installation will need to abide by the Australian drinking water guidelines. What are first flush diverters? First flush diverters improve water quality entering the tank by intercepting the first flush of water. This is done because the first flush of water may contain contaminants such as air pollution, bird and animal droppings, dirt etc. Whilst it is important that this material does not enter the tank, as it may promote bacterial growth, it is possible to still make use of this water by diverting it somewhere else such as a plant pot. The first flush works by diverting the initial polluted roof run off into a separate pipe, which does not drain into the water tank. As enough water is collected in the ‘diverter pipe’ a ball rises to seal off the tube allowing the clean water to be diverted to the tank. The polluted water is slowly drained away so if you get another downpour shortly after the first not as much water is diverted. How much rainfall is there in my area?